I have been asked about SEO and to do it for clients, which I am happy to do, but before I take your hard earned dollars I would like to show you this example. Search engine optimization (SEO) is not that complicated. It involves focusing on one search term per page or post. Google wants to know that you are an expert on the topic you are writing about. To do that all you have to do is repeat your search term in key areas. But be careful; you still need to write with a natural voice so it doesn’t sound like you are stuffing in the search term too much. Text that talks about this work. 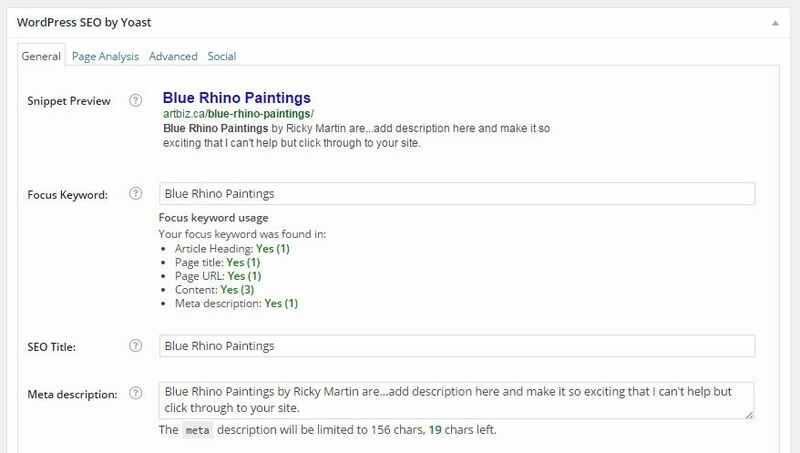 An internal or external link for more info on Blue Rhino Paintings. More text about why you do what you do. Ask yourself why do you like rhino’s? 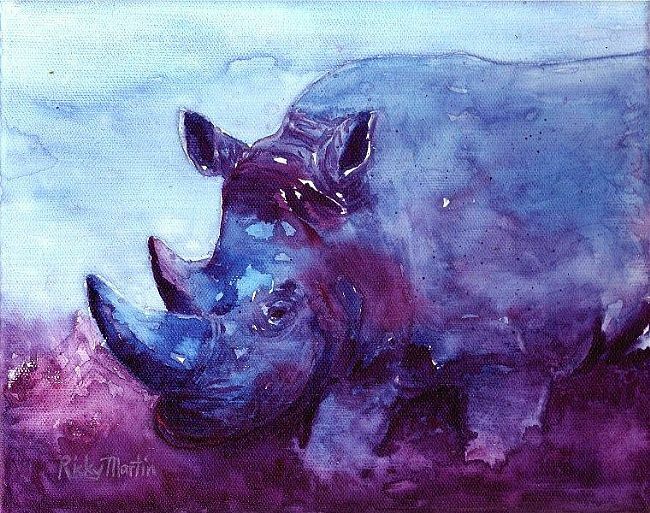 Tell us about your experiences with blue rhinos that lead to creating a series of paintings. Where would you like people to go next? Your contact page, a detailed blog post about one specific blue rhino. Provide a link to make it easy for people to move around your site. 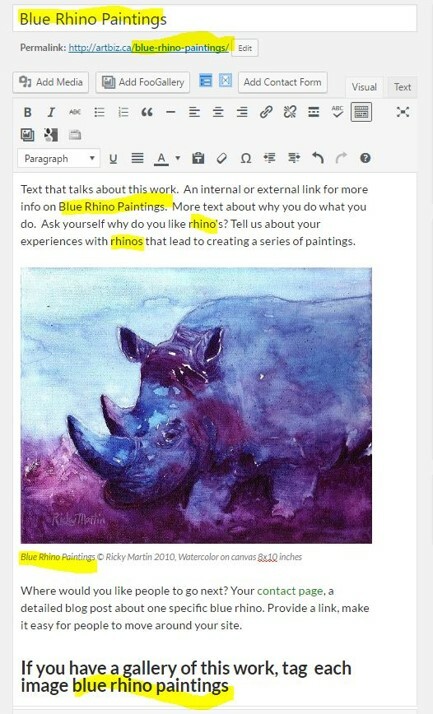 The screenshot below is of the WordPress editor with the keyword phrase highlighted. 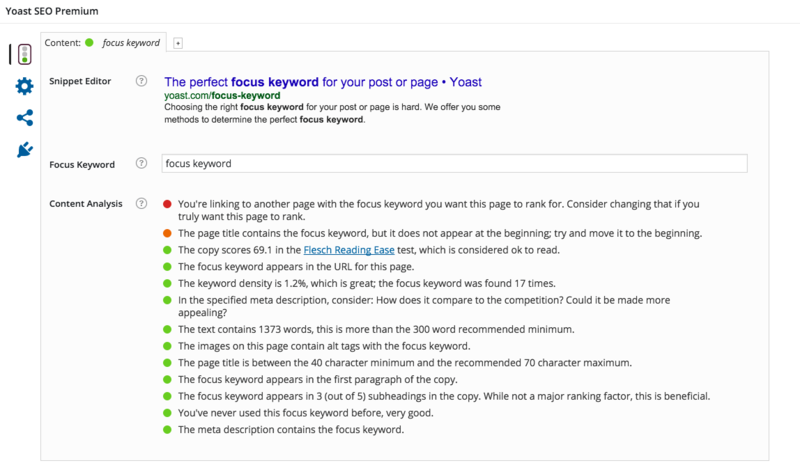 Below is the report from WordPress SEO by Yoast for the above texts and images. Previous Previous post: Don’t Remove Your Site Title – Hide It!